eComZone is a Slack/Telegram community created to bring eCommerce and retail sellers together. Why should I join the eComZone community? eComZone is a platform for eCommerce sellers across the globe to come together and share their experiences, queries, meet new sellers, chat with the Orderhive experts etc. Who can join the eComZone community? Anyone! 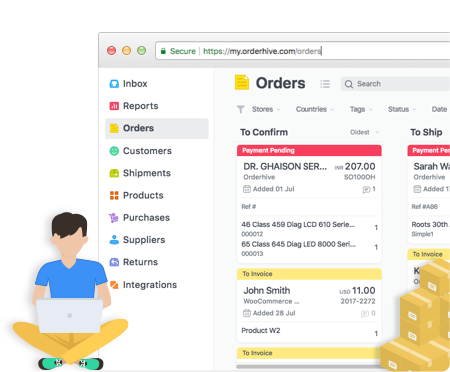 Any seller, e-commerce and inventory management expert from anywhere can join this community, share information related to inventory management, order management, shipping, etc. or raise any kind of a queries. I am already in touch with the Orderhive support staff. Why is it necessary for me to join the eComZone community and how will I be benefited out of it? It is not necessary for existing Orderhive users to join this community. For Orderhive software related queries, Orderhive staff is already at your support 24X7. But as mentioned, this community is made to bring eCommerce and retailers across the globe on a common platform. Are there any sort of terms and conditions that I need to agree before being a part of the eComZone community? No, this is an open community. You are free to join and have your discussions here. It is recommended to stick to idea and refrain from having unnecessary discussions as it might hamper the ambience of the community.